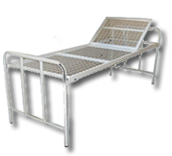 Medicity Zimbabwe was founded in March 2005 with the mandate to manufacture and distribute hospital furniture & equipment. The business idea was muted on the promise of satisfying a niche in the medical furniture and equipment supply market where a demand for high quality products could not be suppressed. 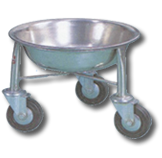 Once started we never looked back, rising from very humble beginnings in every case to combing state-of-the-art equipment and professional expertise to produce unparallel space age products. To date our history speaks for itself as evidenced by our customers' list which is topped by high ranking corporate organisations such as NGO's, Government and Private Hospitals, Mines and Local Government and other regional organizations. The creation of a new website for Medi City Zimbabwe.